The City Council passed its once-a-decade comprehensive plan Wednesday night, but that wasn’t what dominated a more than four hour meeting. At issue were changes in the city’s zoning code, to include how many parking spaces developers of apartments must install per unit they build. The city’s planning commission had recommended 1/2 of a space for every unit at the city’s biggest population centers EXCEPT downtown. That means for every 100 units built, 50 parking spaces are needed at a minimum. But the City Council had, at its Wednesday meeting a week ago, raised that to one space per unit (e.g. 100 units=at least 100 parking spaces). And the Council approved that new minimum tonight. But there’s one exception to that rule: the city’s downtown area has required just 1/2 space since 2007 and it is staying that way for now. That was the main bone of contention for a number of small business owners and others in the crowd. Chase Linbo, manager of Game Wizard Blue Sky Hobbies on Fourth Street, said his business has enjoyed much success in the location. Except for one thing. “The only problem I have is parking,” he said. He and others worried about the idea developers could put in just one half parking space per apartment unit, saying it would make parking problems downtown worse. Others supported the 1/2 space minimum for the downtown area. Dale Sperling, who is building a nearly 50-unit project on Burwell Street, said his project would not pencil were it not for the 1/2 space minimum. Even Seattle developer Mark Goldberg, who once built or tried to build a number of projects in Bremerton, stopped by to say he supported the minimum “1/2 spot” rule. “We would not be developing that building if it had to be one spot per unit,” he said. City Clerk Shannon Corin said a parking study is ongoing and should provide analysis for what the city can do about what one property owner called a “parking disaster.” Many in the audience, as well as several on the Council, said they’re waiting for the results before jumping to a final conclusion. Many members of the Council acknowledged the parking problems downtown. But an upbeat Council President Eric Younger seemed to signal that it sure beat the alternative — a downtown with no one in it. “This is potentially a good problem to have,” he said. I chronicled other zoning changes, including the resurrection of duplex construction in some areas, in this previous story. Grass in the new portion of Evergreen-Rotary Park is growing in; a new path will run along its waterfront. 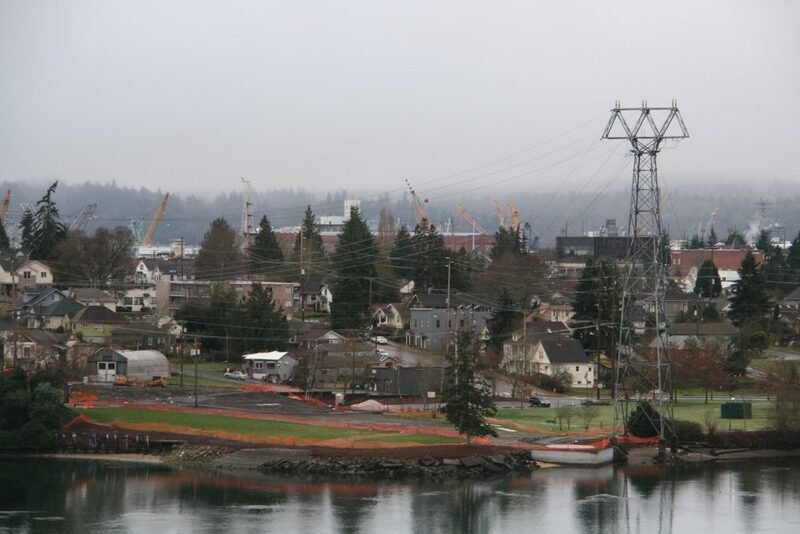 Pathway Extension: The Rotary Club of downtown Bremerton donated $20,000 Wednesday night to build a new 350-foot waterfront pathway at Evergreen-Rotary Park. I had previously asked Colette Berna, the parks department’s preservation and development manager, about the work. She said it will connect a new waterfront outlook — where the old pump station used to be — to the city’s 9/11 Memorial. About $17,000 in federal funding is also being pursued to complete sidewalks in the area of the new portion of the park, Berna said. If you’ve been down to the newest portion of the park lately, you know the grass is growing in well. For background on the project connecting the old park to the new, click here. Crime stat suspicions: During Police Chief Steve Strachan’s monthly report, he noted arrested were up, from 179 in April 2014 to 212 to April 2016. He again chalked that up to a number of warrants for failing to appear in court on previous charges. Some other crimes were increasing too, including trespassing, which rose from 18 reported incidents in April 2014 to 45 in April 2016. Comprehensive Plan fruition: Last, but not least, the City Council tonight passed the Comprehensive Plan, a roadmap for growth in the next 20 years. 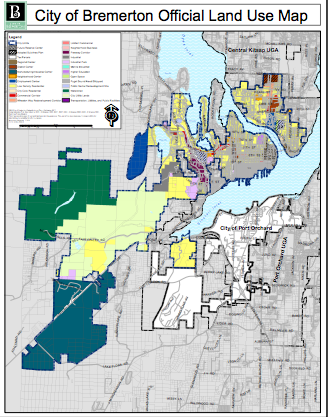 The city is continuing its “centers” concept, encouraging more dense growth in certain areas — Charleston, Manette, downtown, Eastside (where the hospital is now), Wheaton Way and the Puget Sound Industrial Center near the airport. 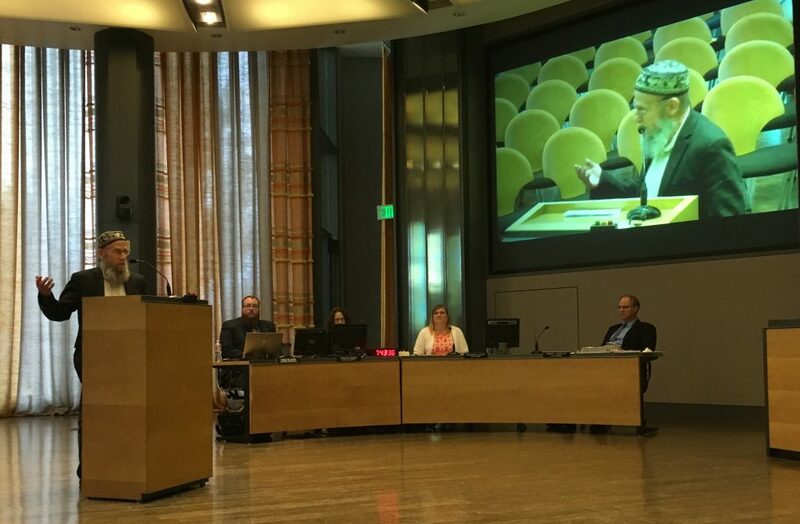 The city expects 14,000 people and 19,000 more jobs to be located in Bremerton in 2036, city planner Allison Satter told the Council Wednesday. A number of changes are being made to the comprehensive plan regarding land use. Satter described the changes Wednesday night as a simpler regulatory framework — “Tangible, readable, and comprehensible” — than the plan that precedes it. More to come. For the entire agenda Wednesday, click here. I don’t see Bremerton moving in any timely manner to solve the parking issue or even at all beyond talk until it affects the city employees. Soon as that happens the issue will quickly be solved.